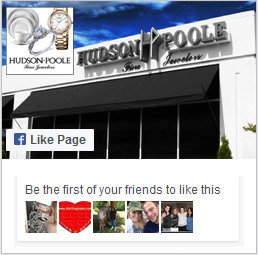 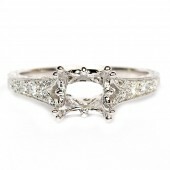 This Stunning 18K White Gold Engagement Ring Mounting By Saturn Perfectly Blends Both Vintage And Modern Styles. 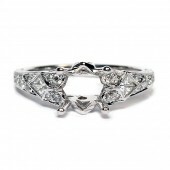 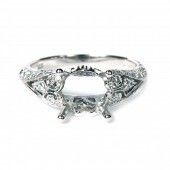 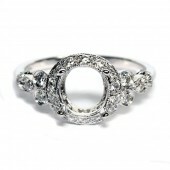 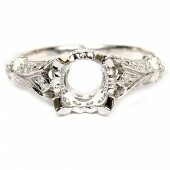 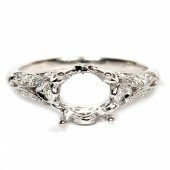 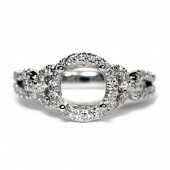 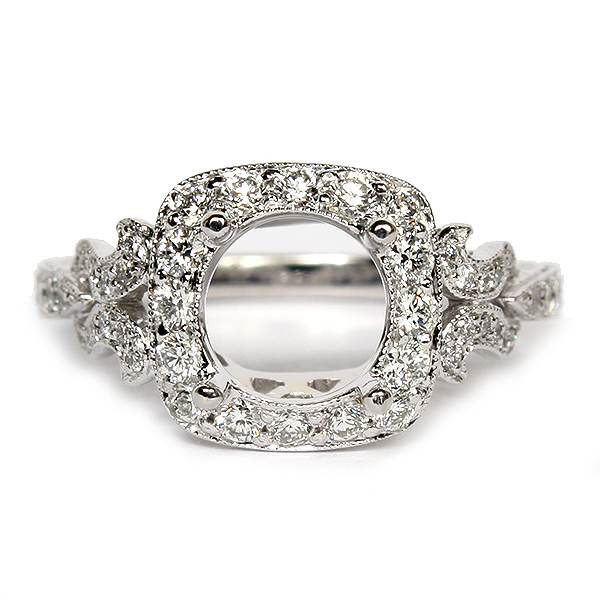 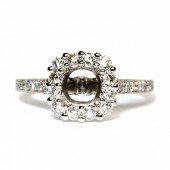 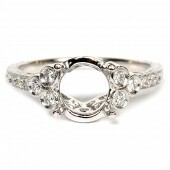 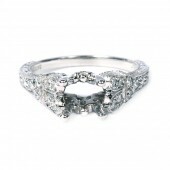 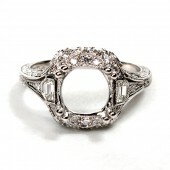 It Features A Cushion Shaped Diamond Halo, With Additional Diamonds Set Half-Way Down The Sides Of The Band In A Unique, Vintage Style Design. 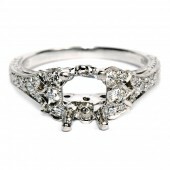 Exquisite Hand Engraving And Delicate Milgrain Edging Contribute To The Vintage Look As Well. 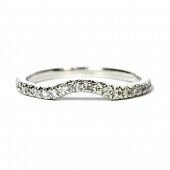 The Diamonds In This Ring Are Very Well Matched And Proportioned And Weight 0.70 Of A Carat Total Weight.